Keola Beamer’s [slack key] style is the best there is on the planet, says Willie Nelson. Keola Beamer has breathed new life into slack key guitar music yet stays true to its deep Hawaiian roots. He is a Hawaiian legend: singer-songwriter, composer, guitar master, with an impeccable, gorgeous style that is featured on The Descendants soundtrack and his 17 CDs. Keola was one of the first to use Hawaiian slack key techniques to create contemporary music that is also at home on jazz or classical stages. His wife Moanalani Beamer joins Keola in performances with her beautiful hula and the exquisite sounds of traditional Hawaiian instruments. 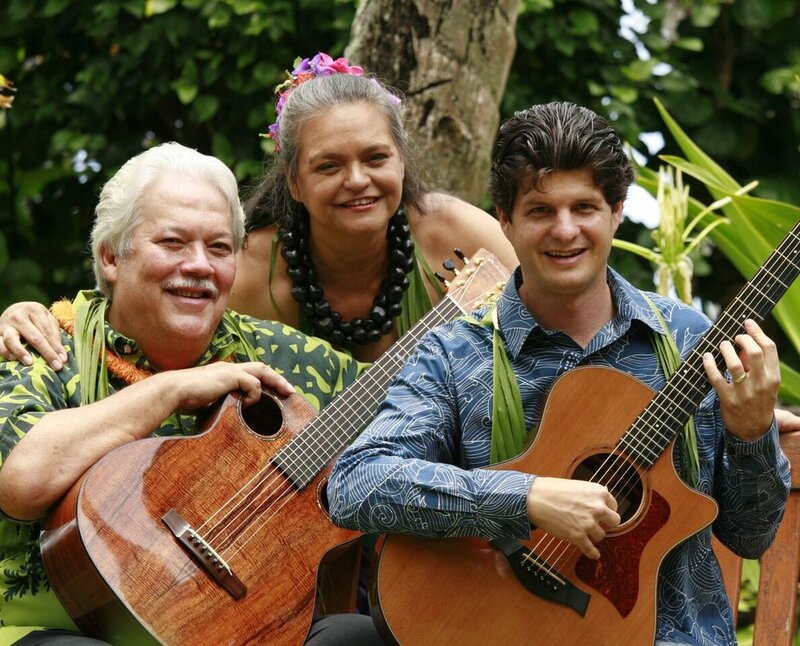 Keola Beamer’s well of talent springs from five generations of Hawaii's most illustrious and beloved musical families. Keola's mother was revered Hawaiian cultural treasure, Aunty Nona Beamer. His great-grandmother was one of Hawaii's most illustrious composers, Helen Desha Beamer. The Beamers trace their roots to royal families of the 14th century and have been cultural practitioners through generations. Jeff Peterson Recognized as one of Hawaii’s most versatile musicians, Jeff Peterson is at the heart of the Hawaiian music scene today. His passion for the guitar has allowed him to shine as a solo artist and has given him the opportunity to collaborate with a wide variety of artists from Hawaii, across the US, and abroad. His focus on Slack Key guitar, classical, and jazz music has allowed him to develop a unique and transcendent voice on the guitar while being deeply rooted in the traditions of his Hawaiian heritage.